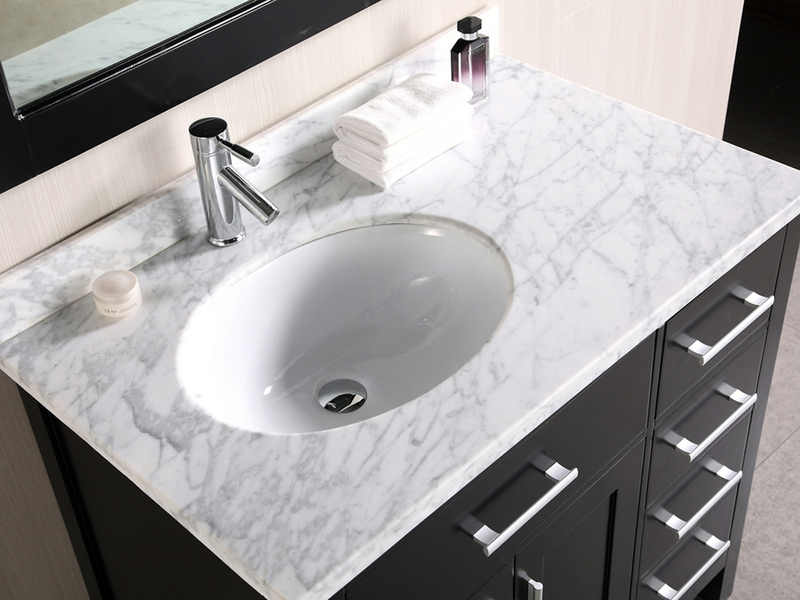 The London Single Bathroom Vanity blends classic beauty and modern aesthetics with its elegant Carrara marble countertop and its clean, contemporary cabinet design. 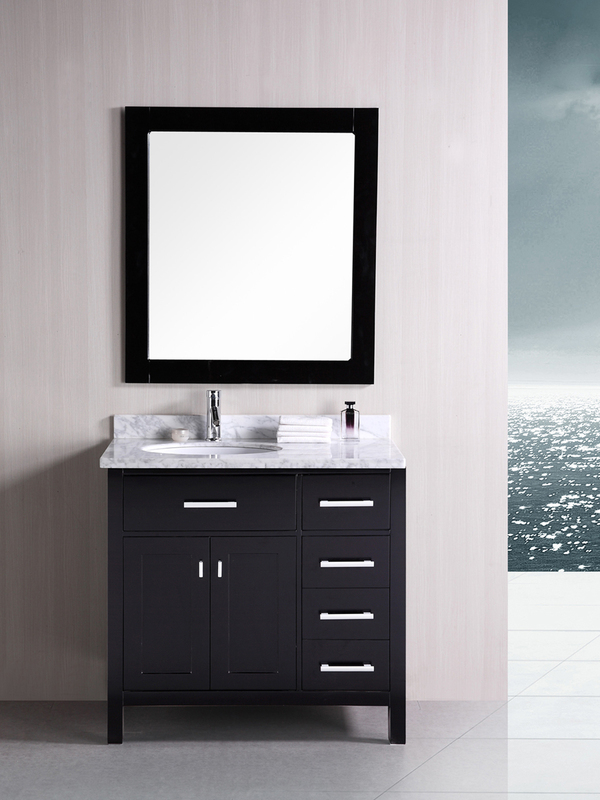 This vanity is truly a stylish addition to your modern bathroom, sporting a rich espresso finish and satin nickel hardware. 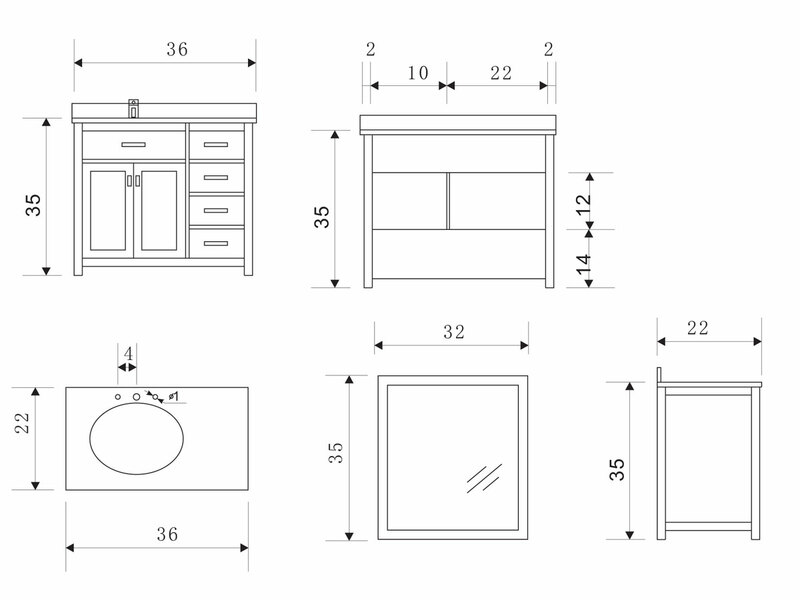 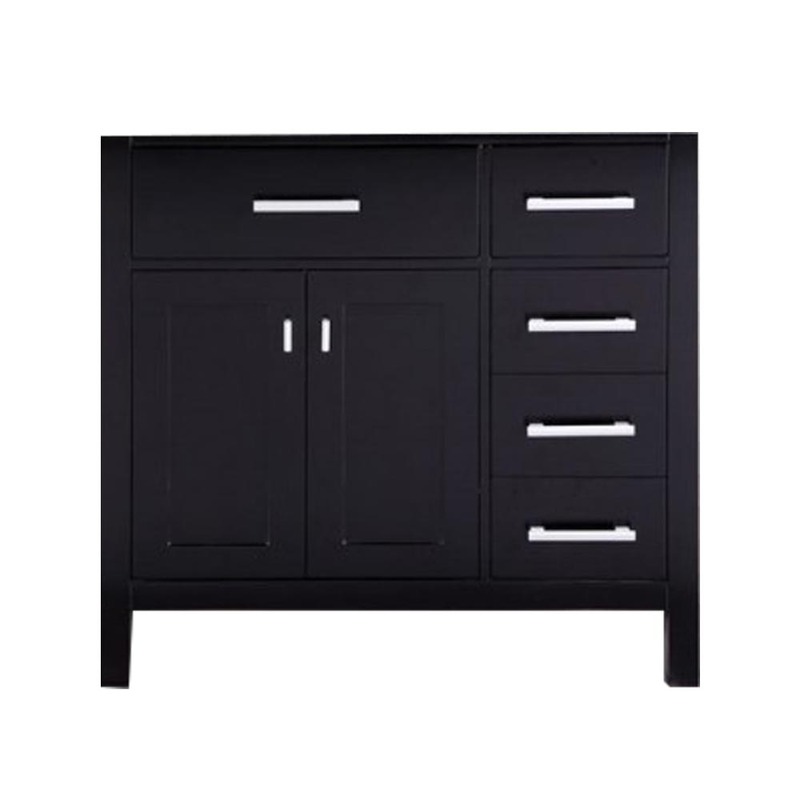 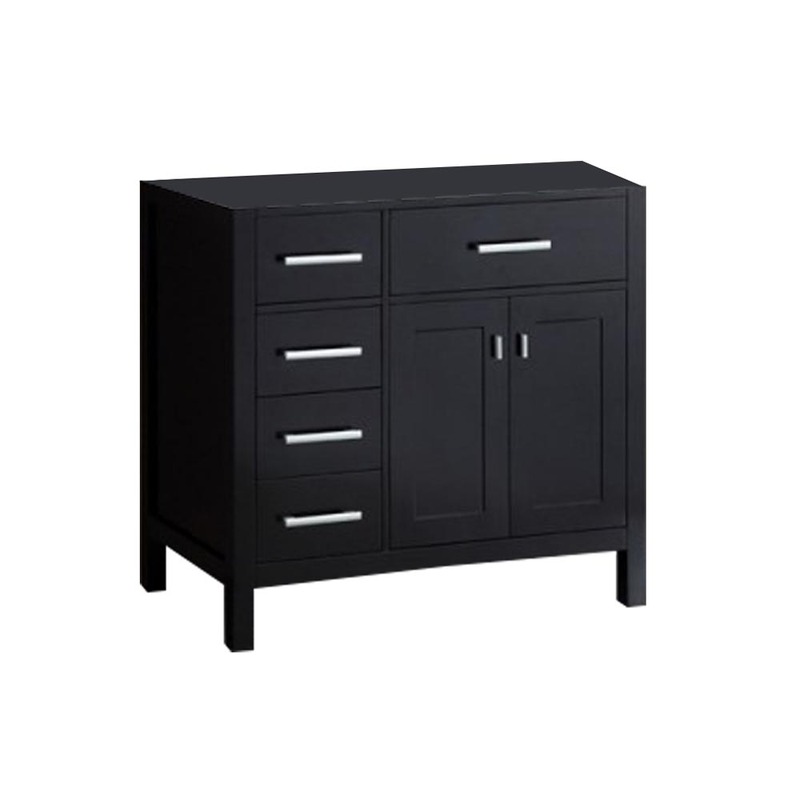 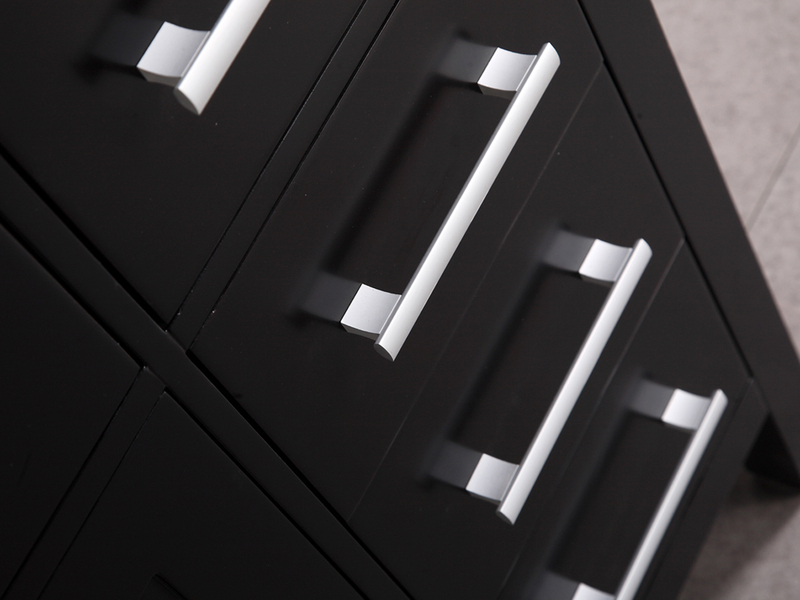 With four functional drawers and a double-door cabinet, you'll have ample space to store toiletries, bath towels and other bath accessories. 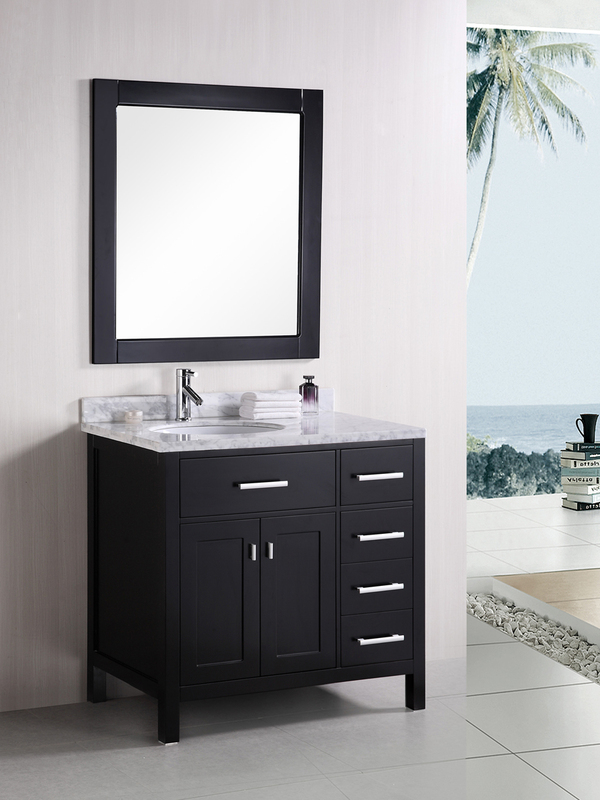 This vanity conveniently includes a matching framed mirror.